Cash back cards are great; they’re simple and straightforward. You don’t need to worry about blackout dates, points devaluing or the complicated process of figuring out how to best maximize each point. Out of the country’s large catalogue of cash back credit cards, the Tangerine Money-Back Credit Card has been a long-time favourite with everyday Canadians and personal finance experts alike. While the fact it’s a no annual fee card is a big reason behind its popularity, what really sets the Tangerine Money-Back Credit Card apart is its customizability. With this card, you can choose your own bonus categories (which will earn you a strong cash back rate of 2% per dollar spent). This is rare in the credit card market. Most cards come with pre-set bonus categories, not all of which may align with your spending habits. 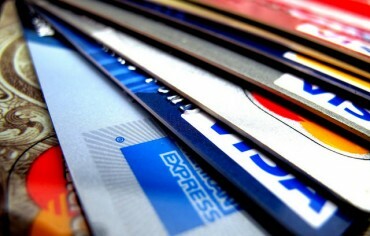 For example, cash back credit cards typically have both gas and groceries as fixed bonus categories. While this means you can pocket more rewards on groceries, if you don’t own a car, you’re essentially “stuck” with a bonus category that you can’t take full advantage of – a situation you can avoid with Tangerine’s credit card. For everything you need to know about the Tangerine Money-Back credit card, read our full review below. As a Tangerine Money-Back cardholder, you can pick up to three of the 2% cash back bonus categories listed below. 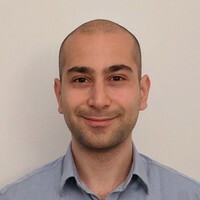 Note: many of the choices aren’t conventionally offered by cash back credit cards, which is another reason why the Tangerine Money-Back Credit Card stands apart from its competition. For purchases that don’t fall under one of your chosen bonus categories, the Tangerine Money-Back Card will earn you 0.5% cash back per dollar. By default, the Tangerine Money-Back Card lets you choose a maximum of two bonus categories. However, if you also open a Tangerine Savings account, you’ll unlock the ability to select a third bonus category. Since Tangerine’s savings account is free and offers a competitive fixed-interest rate of 1.25%, opening an account is a no brainer – even if it’s just to get a third bonus category on your card. You also have the option to swap out your bonus categories at any time, though the changes won’t be reflected immediately and will come into effect after 90 days. With that in mind, it’s best to avoid trying to “game” rewards and instead stick to the same categories unless you plan on making a big change to your spending habits. As highlighted above, the Tangerine Money-Back also offers 0.5% cash back per dollar on non-bonus category purchases. While 0.5% cash back isn’t all that impressive, by choosing your bonus categories strategically, you can earn 2% on the purchases you make the most frequently and 0.5% on those you make the least often. As an added plus, Tangerine’s user-friendly app makes it easy to identify where (and on what) you spend your money on the most. Not to mention, since this card has no annual fee, you can carry it at no extra cost and use it in combination with another card to maximize your rewards. 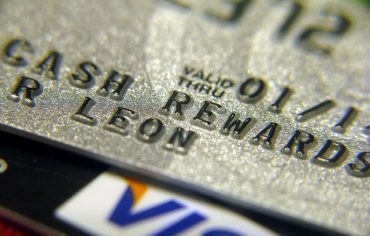 For example, if you use the Tangerine Money-Back Card for purchases that fall under one of your bonus categories and the SimplyCash Card from American Express (which offers a flat 1.25% cash back on all purchases) for everything else, you could walk away with substantially more rewards every year than if you were carrying only one of these cards. In contrast to most other cash back credit cards, which reimburse your cash back earnings annually, the Tangerine Money-Back Card will provide your cash back rewards every month. This happens automatically, regardless of how much you spend with no redemption minimum. It’s yet another reason the Tangerine Money-Back Card frequently appears on our list of the best cash back credit cards in Canada. The redemption process does vary slightly depending on whether you have a Tangerine Savings account. If you don’t, your cash back rewards will be applied directly to your credit card statement. If you do, your rewards will be deposited into your Tangerine Savings Account, which you can then do with it as you please. Along with its flexibility, one of the Tangerine Money Back Card’s most appealing features is the fact it’s a no fee credit card. 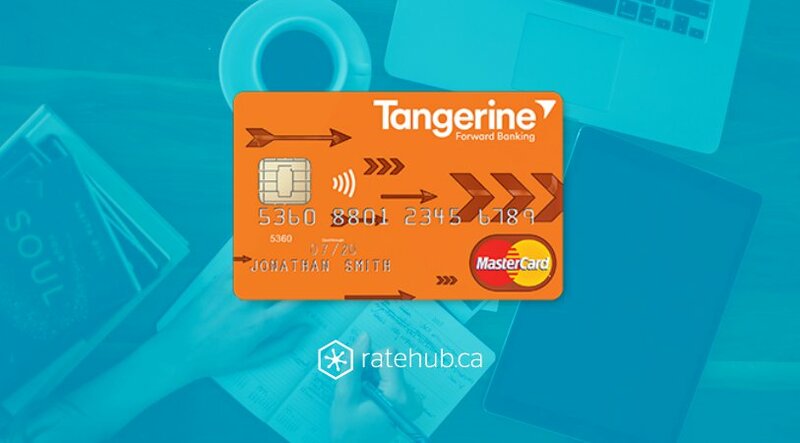 In terms of interest rates, Tangerine’s credit card falls in line with what most other cards charge: 19.95% annual interest rate on purchases, cash advances and balance transfers. Now with that being said, Tangerine is currently offering a limited time balance transfer offer of 1.99% for new cardholders for the first six months. 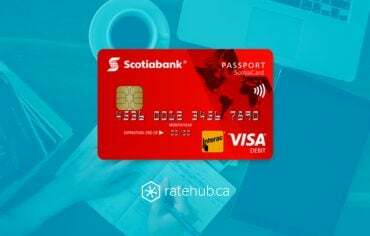 Lastly, the card’s income qualification requirement is low at $12,000, a reason why we chose to feature this card on our list of Canada’s best credit cards for students. This is perhaps the only area where the Tangerine-Money Back Card doesn’t offer a distinct advantage. While the card does provide extended warranty (up to an extension of one year) and purchase assurance, it doesn’t offer travel medical insurance or car rental insurance benefits. Since the card charges no annual fee however, you can consider picking up another credit card to use alongside the Tangerine Money-Back Card which does offer these benefits. 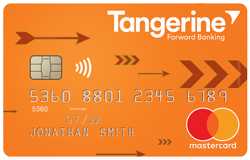 For its credit card, Tangerine partnered with MasterCard. That means the Tangerine-Money Back is accepted almost anywhere that accepts credit cards – including popular discount grocers and retailers which don’t accept Visa or American Express such as No Frills and Costco.